A couple of weeks ago I wrote about the ‘INSTRUCTIVE final reckoning’ (see post on January 9th). 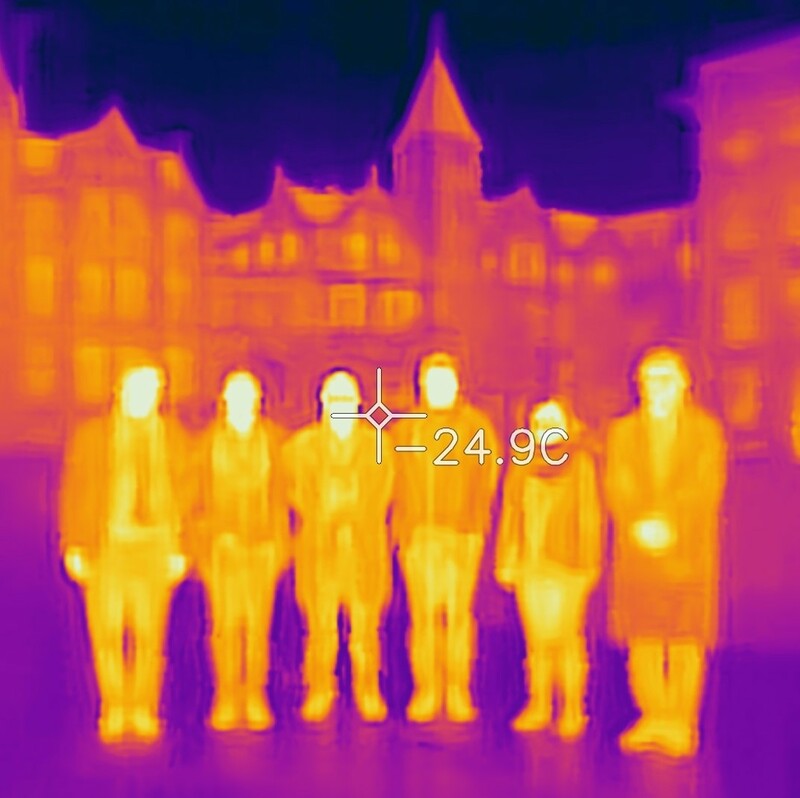 INSTRUCTIVE was an EU project, which ended on December 31st, 2018 in which we demonstrated that infra-red cameras could be used to monitor the initiation and propagation of cracks in aircraft structures (see Middleton et al, 2019). Now, we have seamlessly moved on to a new EU project, called DIMES (Development of Integrated MEasurement Systems), which started on January 1st, 2019. To quote our EU documentation, the overall aim of DIMES is ‘to develop and demonstrate an automated measurement system that integrates a range of measurement approaches to enable damage and cracks to be detected and monitored as they originate at multi-material interfaces in an aircraft assembly’. In simpler terms, we are going to take the results from the INSTRUCTIVE project, integrate them with other existing technologies for monitoring the structural health of an aircraft, and produce a system that can be installed in an aircraft fuselage and will provide early warning on the formation of cracks. We have two years to achieve this target and demonstrate the system in a ground-based test on a real fuselage at an Airbus facility. This was a scary prospect until we had our kick-off meeting and a follow-up brainstorming session a couple of weeks ago. Now, it’s a little less scary. If I have scared you with the prospect of cracks in aircraft, then do not be alarmed; we have been flying aircraft with cracks in them for years. It is impossible to build an aircraft without cracks appearing, possibly during manufacturing and certainly in service – perfection (i.e. cracklessness) is unattainable and instead the stresses are maintained low enough to ensure undetected cracks will not grow (see ‘Alan Arnold Griffith’ on April 26th, 2017) and that detected ones are repaired before they propagate significantly (see ‘Aircraft inspection’ on October 10th, 2018). I should explain that the ‘we’ above is the University of Liverpool and Strain Solutions Limited, who were the partners in INSTRUCTIVE, plus EMPA, the Swiss National Materials Laboratory, and Dantec Dynamics GmbH, a producer of scientific instruments in Ulm, Germany. I am already working with these latter two organisations in the EU project MOTIVATE; so, we are a close-knit team who know and trust each other – that’s one of the keys to successful collaborations tackling ambitious challenges with game-changing outcomes. So how might the outcomes of DIMES be game-changing? Well, at the moment, aircraft are designed using computer models that are comprehensively validated using measurement data from a large number of expensive experiments. The MOTIVATE project is about reducing the number of experiments and increasing the quality and quantity of information gained from each experiment, i.e. ‘Getting Smarter’ (see post on June 21st 2017). However, if the measurement system developed in DIMES allowed us to monitor in-flight strain fields in critical locations on-board an aircraft, then we would have high quality data to support future design work, which would allow further reductions in the campaign of experiments required to support new designs; and we would have continuous comprehensive monitoring of the structural integrity of every aircraft in the fleet, which would allow more efficient planning of maintenance as well as increased safety margins, or reductions in structural weight while maintaining safety margins. This would be a significant step towards digital twins of aircraft (see ‘Fourth industrial revolution’ on July 4th, 2018 and ‘Can you trust your digital twin?’ on November 23rd, 2016). The INSTRUCTIVE, MOTIVATE and DIMES projects have received funding from the Clean Sky 2 Joint Undertaking under the European Union’s Horizon 2020 research and innovation programme under grant agreements No. 685777, No. 754660 and No. 820951 respectively. The opinions expressed in this blog post reflect only the author’s view and the Clean Sky 2 Joint Undertaking is not responsible for any use that may be made of the information it contains. This entry was posted in DIMES project, INSTRUCTIVE project, MOTIVATE project and tagged aerospace, computational modelling, cracks, design, digital twin, DIMES, Engineering, experimental mechanics, infra-red, innovation, mechanics, model validation, MyResearch, non-destructive inspection, perfection, research, strain, thermoelastic stress analysis on February 6, 2019 by Eann Patterson.